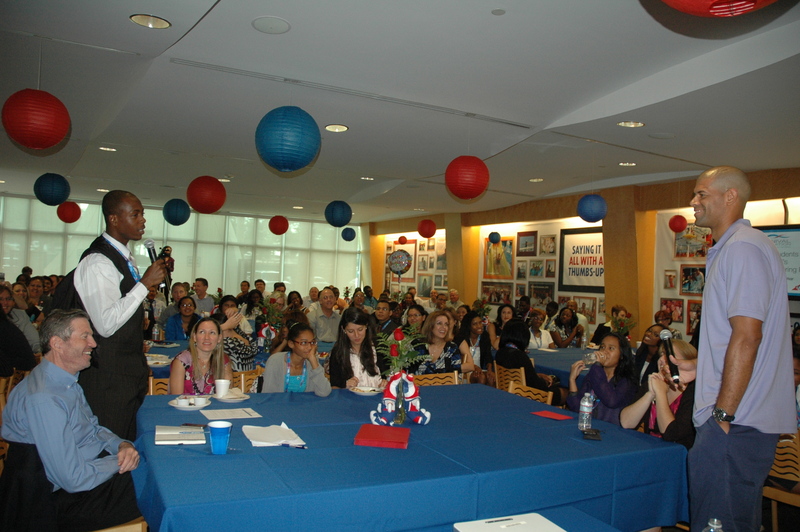 Students participating in Carnival’s innovative Scholarship & Mentoring program had a special guest speaker for their first meeting of the school year – two-time NBA champion Shane Battier of the Miami Heat. The program, operated by the Carnival Foundation, matches Miami-Dade area high school students with a member of Carnival’s management team to provide a first-hand look at the business world. At the end of each year, Carnival awards 15 students with full four-year scholarships purchased through the Florida Pre-Paid Scholarship Foundation. 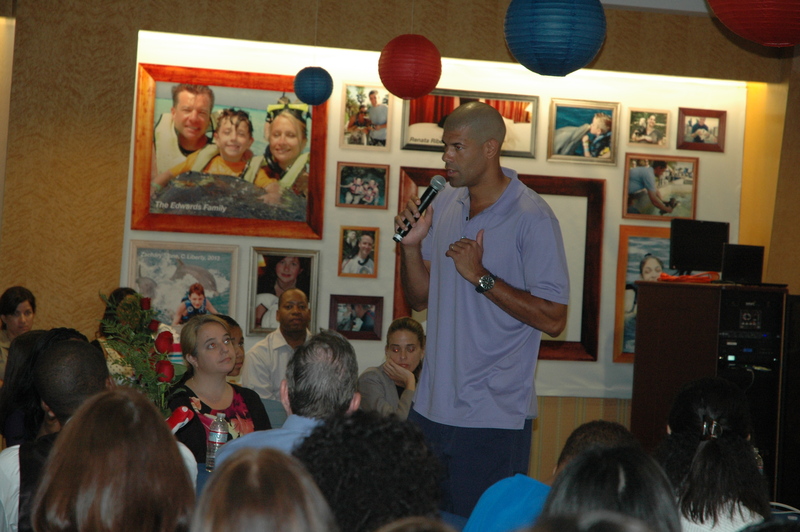 A key member of Duke University’s national championship team and two-time Academic All-American, Battier addressed the students and their mentors for the better part of an hour, offering valuable insight into overcoming obstacles, keys to success and the importance of education, perseverance and following your dreams. Battier also took questions from the students who asked about his 13-year NBA career and educational successes, as well as what it takes to be a member of a championship organization. Carnival’s Scholarship & Mentoring program is now in its seventh year and, during this time, there have been more than 180 Carnival/student matches facilitated by Big Brothers Big Sisters of Greater Miami. Carnival has also presented nearly 60 students with scholarships and has purchased 165 scholarships valued at $2 million that will be awarded over the next several years.